I have started the Reunion quilt and I am so excited to see how it turns out. I cut the fabrics from a jelly roll and layer cake. 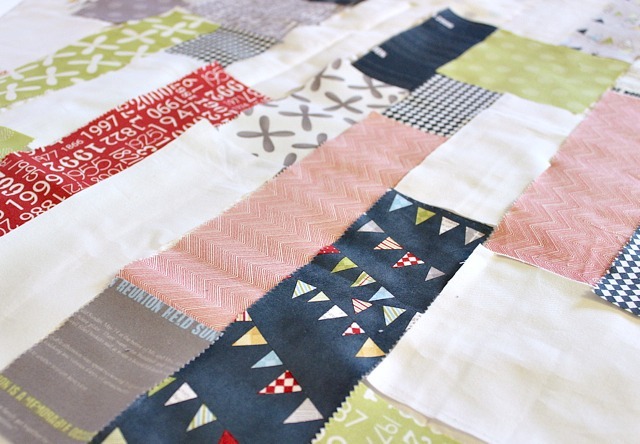 This is the first time I have used a jelly roll and man did it make the job so much easier. Cutting was such a snap and it didn't take long to have all the pieces cut and ready to go. A girl could get spoiled using pre-cut bundles! Of course, jelly rolls are not a new thing and many of you have already probably come to this conclusion. What can I say? I am a little behind... but better late than never. Once all the pieces were cut, I laid them out and played with the placement. I am using the same pattern I used for my Rose Quilt. This part of the quilt making process is what takes the longest. It takes awhile to set the pieces out just as a I want them. I cannot do random placement. I like it to look random, but there is nothing random about my process. Once I get them all set out, I may even move some around and rearrange them a little. Yes, it is probably unnecessary, but I can't help it. It's an obsession. 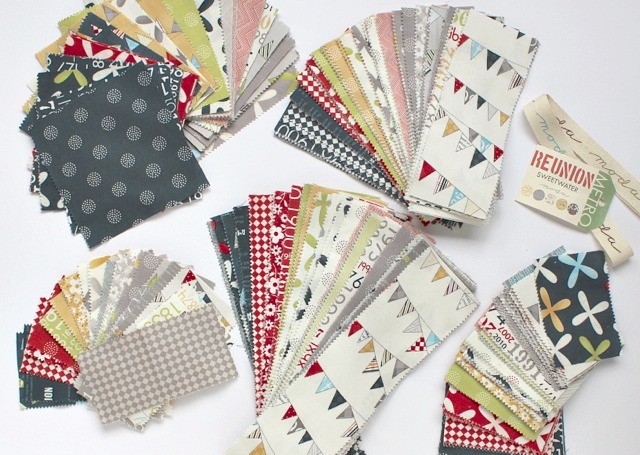 I love these fabrics, especially the navy, grey and green together. These prints are so fun and simple and they go so well together. I always lay out my quilt tops over the quilt on my bed because if I lay it on the floor either my kids or my cats will have a field day with it. There is nothing better than a bunch of fabric pieces set out neatly to throw around and make a mess with. 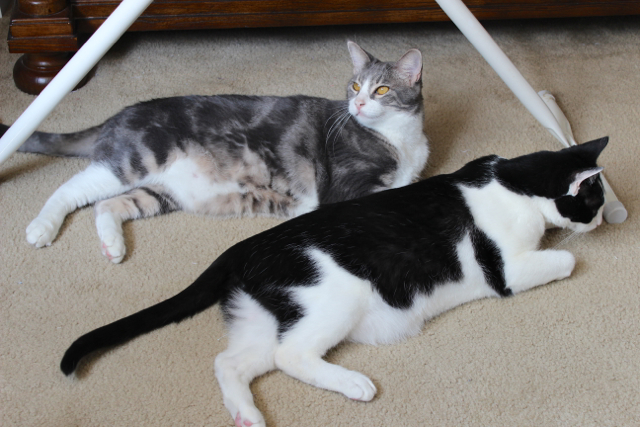 The grey one (Artemis) is the ring leader of mischievous acts. You can't turn your back on this one. He is always watching and waiting for his chance to get in the middle of what I am working on. Haha, I'm with you on the "random" placement. I just know that if I end up having three dark strips or squares in one corner and not in another, it will bug me forever! Far more than a misaligned seam or something. Hi! Me too, I'm the same with the random - have to be random but every patch exactly where 'they need to be' - as 'Books Bound' said, too! PS. I enjoyed your last post! Love, love, love these colors and patterns! So classic and fun! Can't wait to see it completed! 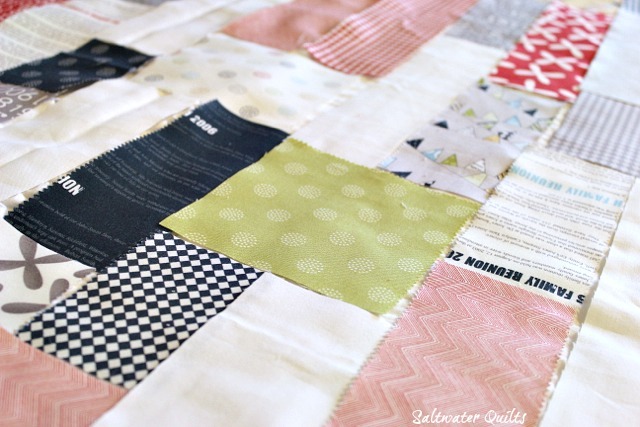 I'm going to love this one as much as I love your rosé quilt! Thank you for the sweet comments! Ya'll are so supportive and I greatly appreciate it! Looking good! I really like that fabric. Beautiful quilts! Love all the colors! The cats are adorable! Makes me miss mine so bad!! Beautiful site. I just found your blog and started following it. You have a wonderful site here. Looking forward to see all of it. Have a great day. Can't wait to see it - I love quilts! There's an art to making things look random for sure. I will be watching because I want to do a quilt sometime soon and would love to watch the process first to stay inspired. I love your project and you can totally sign me up for the Random But Not Really Random Club. hi, visiting from Connie's Linky Tuesday - it's looking great and can't wait to see the finished top! You and your helpers are making a beautiful quilt! Now that you have discovered pre-cuts.......look out! They are addictive! Thanks for sharing. It's so pretty. I love the fabric. Did I miss what it was? Your obsession certainly paid off in arranging your pieces. What a beautiful combination! Jelly rolls are a lot of fun to use....all cut and matching. I like this pattern and checked out the Rose Quilt...so beautiful! HaHa - I know what you mean about the random placement. I can't do it either!! 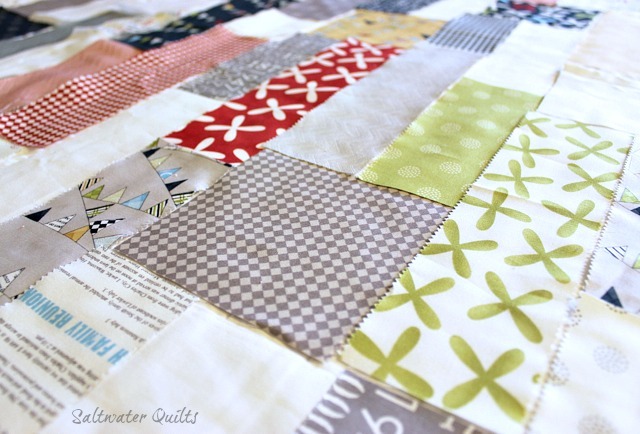 It has to be "just so" :-) This is going to be another lovely quilt Candace, can't wait to see the finish!! Nice looking quilt! And your cats are cute! Thanks for sharing @ Submarine Sunday! 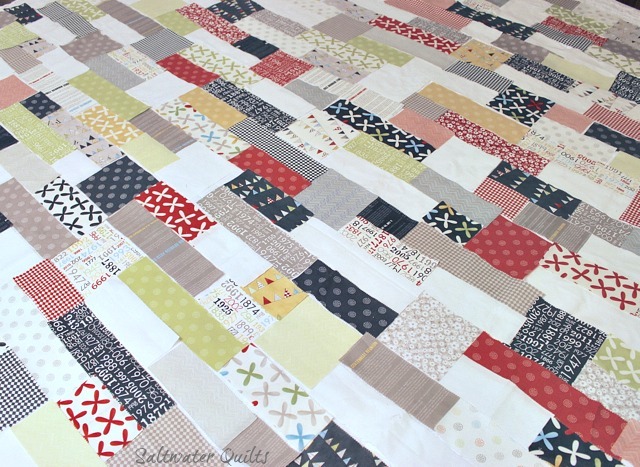 I have the Reunion Jelly Roll and so I will be following along to see how your quilt turns out. I am just finishing my 2nd quilt and have one top done that needs quilting and then the Reunion is next in line. I was wondering if you think this would work as a one color quilt such as blues or reds.